West African Health Organisation (WAHO) is the health institution of the Economic Community of West African States (ECOWAS). Its main objective is to bring to West African peoples high quality health care by promoting integration, collaboration and resource sharing between the member states. WAHO, in his second strategic plan 2009-2013, develop a research programme with an objective to facilitate research for health in the fifteen West African States. 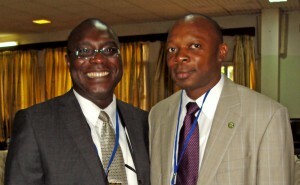 In 2008, WAHO recruited a professional to be in charge of research that will implement this programme. To get support in this programme’s implementation, the professional reviewed progress that had previously been made to identify which institutions and people worked in the research development area. A paper written by the COHRED team on national health system research in the Mediterranean countries served as a point of introduction. He contacted the lead author, Dr Andrew Kennedy and expressed WAHO’s desire to partner with COHRED. A meeting in November 2008 at the Bamako Forum on Research for Health was arranged between the CORHED team and WAHO professional officer as this was a good opportunity to discuss about furthering the collaboration. This led to further discussions within the WAHO management team leading to the desire for formalizing the relationship. In May 2009, the Deputy Director General of WAHO and the professional in charge of research travelled to COHRED headquarter at Geneva to learn about the COHRED institution and also discuss the details of a memorandum of understanding. In Geneva, the two teams shared programmatic areas and their areas of mutual interest and this eventually led to a memorandum of understanding being signed between the two institutions in December 2009. Since the signing of the MOU, WAHO and COHRED have created between themselves a working framework to facilitate this collaboration in the area of health research, a key component of the health system. The role of WAHO is to implement its Health Research programme and to utilize COHRED’s expertise to bring to help WAHO succeed. With the support of COHRED, WAHO organised in December 2009 a regional workshop on National Health System Research with the participation of fourteen States of ECOWAS. The team of COHRED facilitated the meeting and helped to identify the key needs in research for health for the countries. After this meeting, COHRED and WAHO developed a project to strengthen the national health research systems in three post conflict countries (Liberia, Sierra Leone and Guinea Bissau) and also in Mali. This project was co-founded by WAHO and the International Development Research Centre of Canada (IDRC). It started in March 2011 by organizing a regional meeting which gave opportunity to the Senegal team to share its experience on HRWeb with the project countries. This project is scheduled to end at 2014. A situation analysis of the governance, policies and priorities on health research in these countries was done and published by COHRED and WAHO. Both teams have helped Liberia, Sierra Leone, and Guinea Bissau to develop their national policy, strategic plan and priorities. In Mali, the two teams helped the country to set up a process to create a coordinating team for research with the participation of all the stakeholders. This project has also given opportunity to promote COHRED’s HRWeb platform for health research information management in all the fifteen countries of ECOWAS. In October 2012, two participants of each country were trained to use this platform for the management of their country’s research information and a regional page was also developed on WAHO’s own website to serve as an aggregator of the region’s information as well as provide regional summary of the health research information. Today, each country in the region has trained people managing its own country page on the platform. After the commencement of this project WAHO and COHRED have jointly developed two other projects to try and mobilize funds to further support research development in the West African Region. The first project was submitted to Swiss government and the second to Open Society Initiative for West Africa (OSIWA) in 2012. Another result of this COHRED collaboration was the organization of a regional meeting in May 2010 in Dakar with strategic partners of research in the ECOWAS region. These strategic partners included funders, NGOs and other actors who are primarily interested in health research development in the West Africa. This meeting also gave opportunity to WAHO to begin collaborations with other partners such as Wellcome Trust. This collaboration with COHRED has given WAHO and the West African Countries, the benefit of COHRED’s extensive experience to support the countries and institutions to develop and deepen their research capacity. This collaboration has also helped to build WAHO’s personnel capacity to support countries in the health research area and helped countries to achieve better work results. We also believe this collaboration has given opportunity to COHRED to apply its technical expertise and tool to the West African region. The regional project created in the countries an opportunity to build their national health research system. 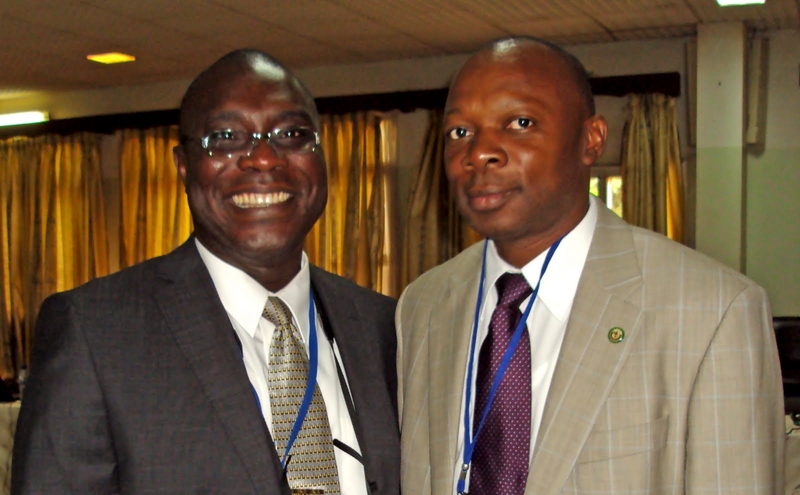 Today in Liberia their Health research Unit is in place with its terms of reference. The countries have had their research priorities in place to assist in their research development and fund mobilization efforts. A framework has been developed for establishing policy and strategic plan development and the development of ethics in research. In Sierra Leone, a national policy and plan for health research development was developed and adopted, as well as a process to develop ethics also started. 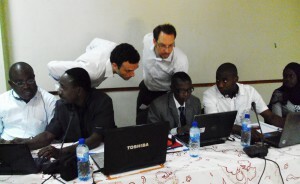 In Guinea Bissau, the process for research priority identification has been started. 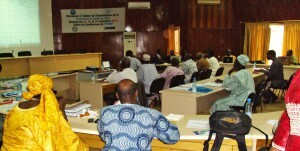 In Mali a process to create a research coordination committee is established. All these activities are also way advance in the Senegal, with even the adoption of COHRED’s RHInnO system to manage their research ethics committees. 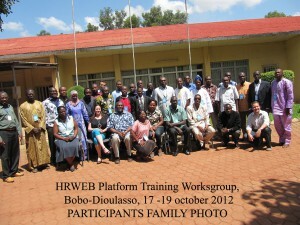 All the fifteen countries have started to build their HRWeb platform. All these go to show that despite the nature of this regional collaboration, all the countries have benefited albeit to different extents depending on their needs. It is anticipated that in the future, the unique benefits and experiences gotten from this collaboration and the joint project would be shared with other countries and regional bodies. It is also expected that the project benefits would be expanded to cover all the countries of the region to address their unique research for health need. All the countries in the ECOWAS region would be assisted to develop when there is none, their national health research system. To monitor the change, it will be good to develop some research for health indicators for the countries and the region in the future. The ethics challenges must continue to be addressed with COHRED experiences in all the countries. One more area that needs to be addressed also in countries is the development of research advocacy and strategic communication plans of address the challenges being faced. The main lessons learned from these experiences are that collaborations with a regional institution and International NGO to facilitate research development in a region are feasible and that the countries can build their national health research system with external support facilitation. There is also a better understanding of the processes required to support countries to develop their research needs and organization of stakeholders meeting. These factors have led to the success that a good collaboration between WAHO and COHRED can bring and also the ability to improve the potential for additional resources mobilization to support countries. In future, COHRED and WAHO need to continue their collaboration to support the countries in West African region for the development of their national health research systems. Particularly, some outstanding key challenges will need to be addressed by both organizations in their collaboration, such as: political engagement for research, resource mobilization at the country level, capacity development, monitoring and evaluation.